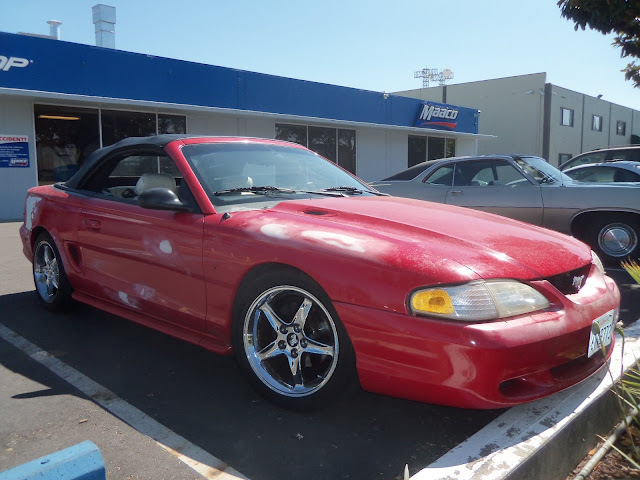 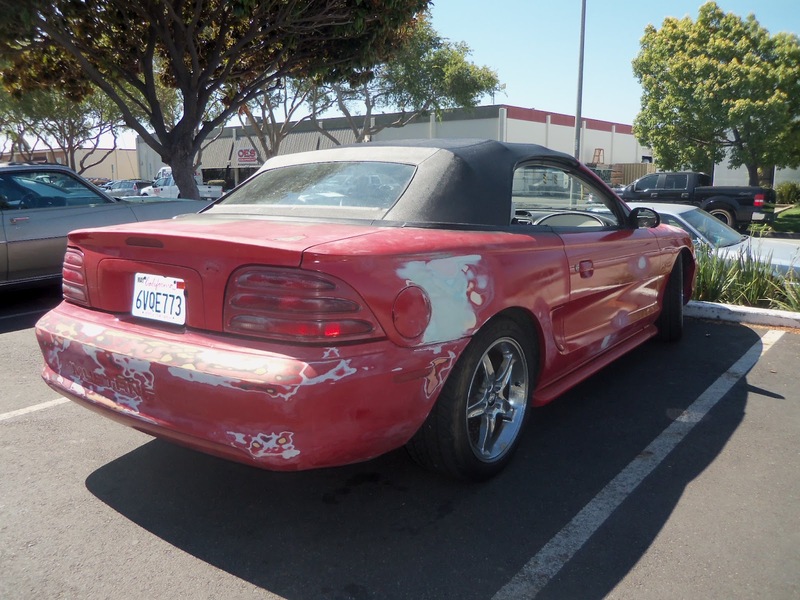 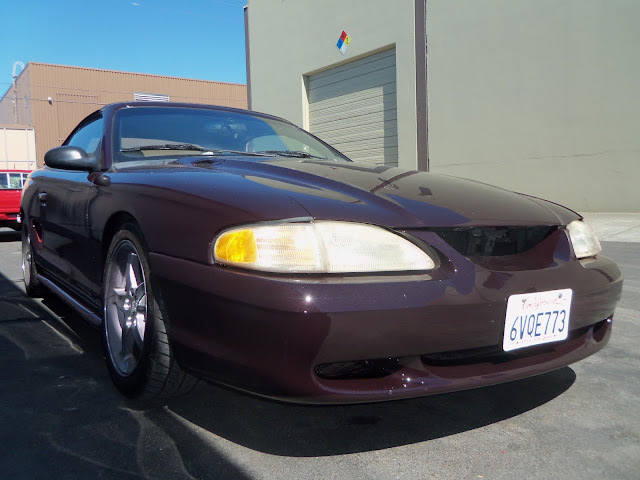 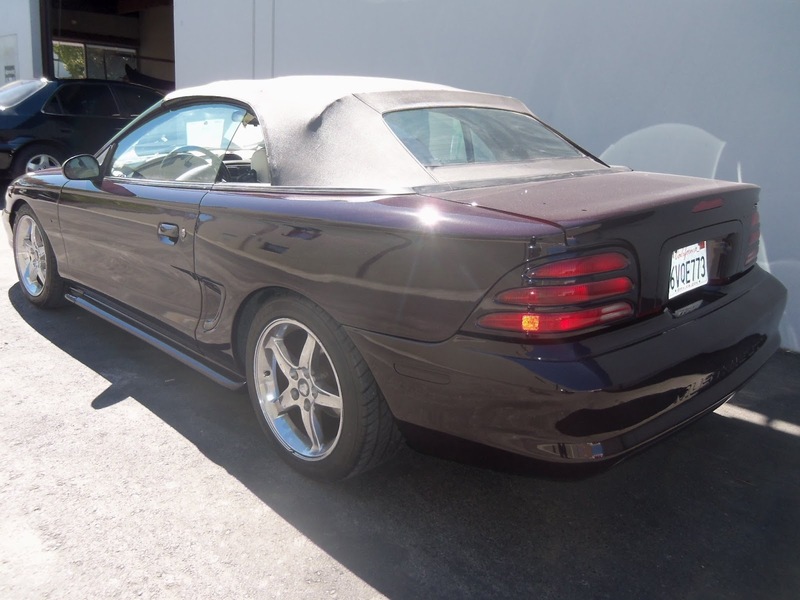 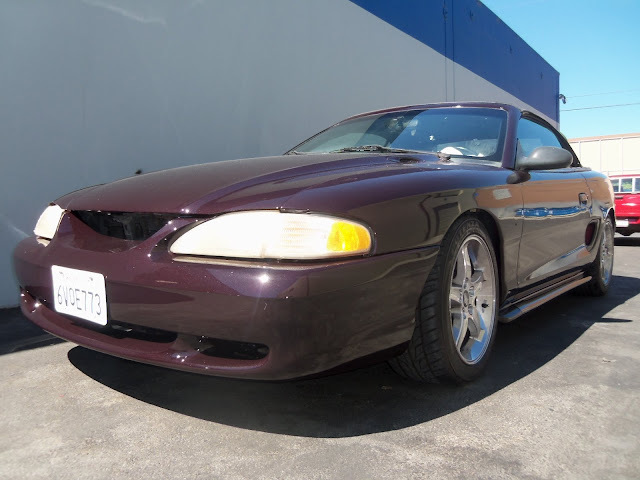 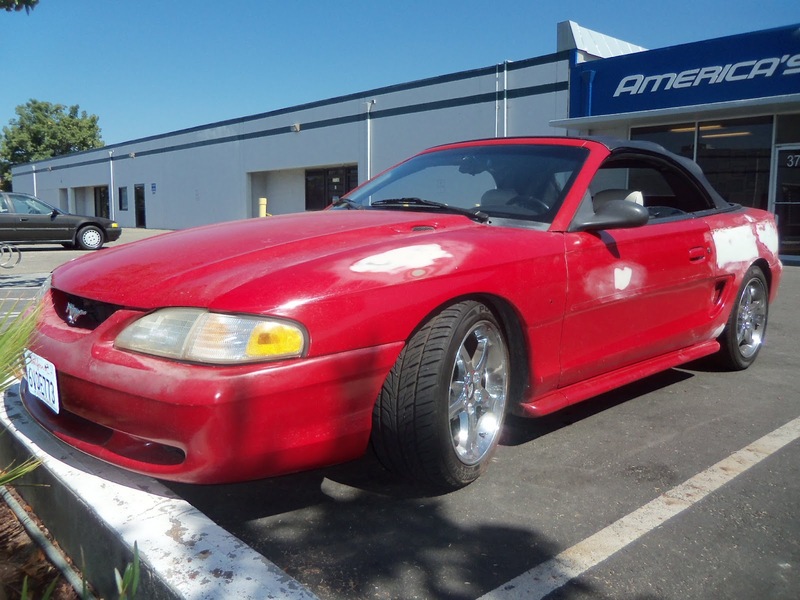 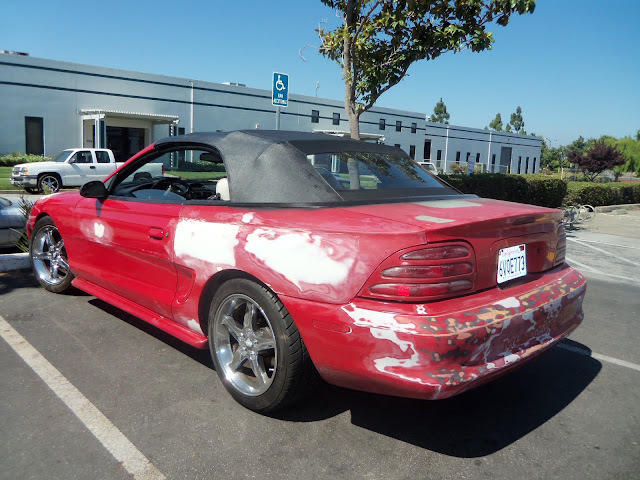 Almost Everything's Car of the Day is a 1995 Ford Mustang Convertible. 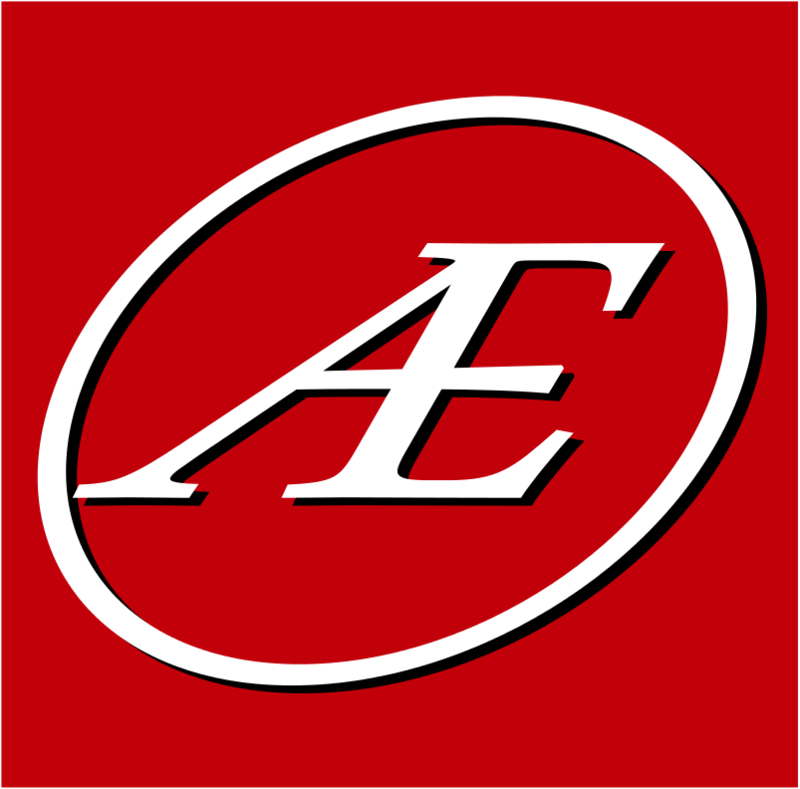 The owner did not want to keep his fading, red factory paint. 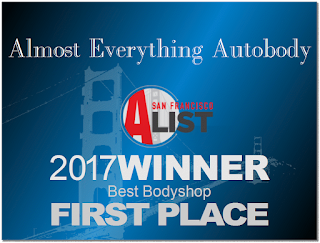 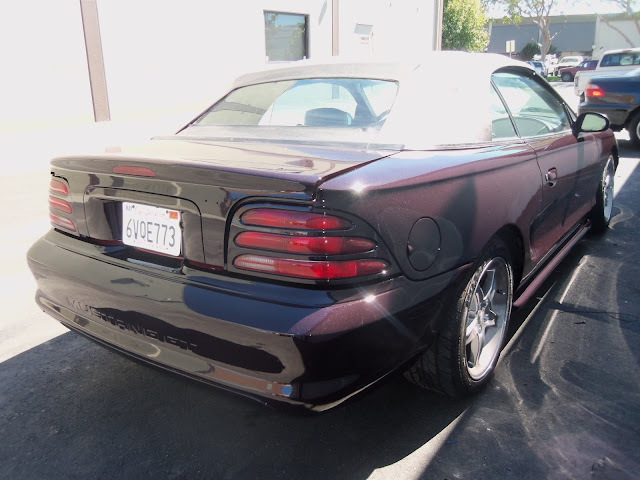 He opted to change the color to our "black cherry effect," a deep black paint with red metallic flake.